This fund was established in memory of Fr. 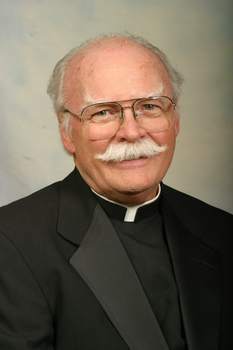 Arthur Obin, OMI (read press release) who was instrumental in the founding of Holy Ground and who served as its Spiritual Director until his untimely death from cancer on January 16, 2013. This scholarship fund will be used to support the continuing education of homeless, pregnant and parenting young women who wish to obtain the necessary education/skills to be financially independent and to be able to provide for their children. Checks to this fund should be made payable to Holy Ground Shelter for Homeless, Inc. – please note Fr. Arthur Obin, OMI Scholarship Fund in the memo section of the check, and mail to: 200 W. 20th St., Riviera Beach, FL 33404. If you would like more information about this fund, please email Claudine Cotton, Fund Administrator, at faosf2013@att.net.